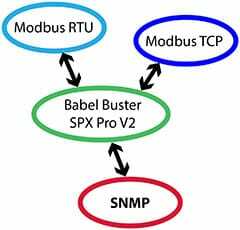 The Babel Buster SPX Pro-V2 Trap Listener for Modbus listens for SNMP traps and puts the trap information into Modbus registers. 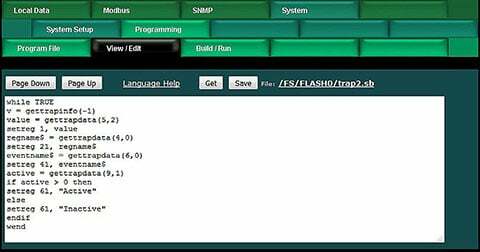 The template driven trap listener provides multiple algorithms for recognizing traps, and can easily place trap information into holding registers for Modbus access. Script Basic can be used for string comparison and trap message interpretation when traps information is not strictly numeric. The Script Basic program decides how to turn a message into a number for Modbus. Babel Buster SPX Pro-V2 Trap Listener includes an automatic table walker with multiple algorithms making it suitable for walking the sparse alarm table found in UPS systems implementing RFC 1628. The table walker can easily translate the alarm table into a series of Modbus coils for easy access by a PLC. Babel Buster SPX Pro-V2 Trap Listener for Modbus is also a SNMP to Modbus gateway including Modbus TCP client and server, and Modbus RTU configurable as master or slave. The SPX Pro-V2 includes an SNMP client, and server with its own MIB that you map Modbus registers to. 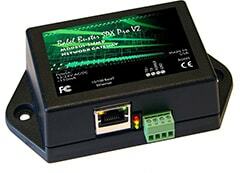 The SPX Pro-V2 can readily exchange data between Modbus and SNMP devices. Buy SPX Pro V2 Online Now! Control Solutions’ Babel Buster® SPX Pro V2 is a an enhanced gateway with advanced features to support connecting Modbus RTU and TCP to SNMP v1 and v2c. The SPX Pro V2 also includes support for connecting devices having a proprietary serial protocol to SNMP or Modbus TCP. The SPX Pro V2 includes an automatic table walker with multiple algorithms making it suitable for walking the sparse alarm table found in UPS systems implementing RFC 1628. The table walker can easily translate the alarm table into a series of Modbus coils for easy access by a PLC. The SPX Pro V2 includes a trap receiver supporting both v1 and v2c traps. The template driven trap receiver provides multiple algorithms for recognizing traps, and can easily place trap information into holding registers for Modbus access. If more complex treatment of trap information is needed, such as character string interpretation, Script Basic can be used to process traps and place resulting data into Modbus registers. 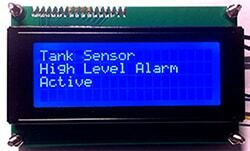 The SPX Pro V2 allows the user to create the Modbus register set. The “registers” can be 16, 32, or 64 bit (with any registers greater than 16 bits being automatically treated as a series of Modbus registers). Holding registers can be integer, unsigned integer, or IEEE 754 floating point, single or double precision. The SPX Pro V2 also supports character strings as a series of registers having two ASCII characters per register. These character registers can be read and written from Script Basic as a single string variable. Although all local registers are allocated as holding registers, they can also be accessed as input registers, discrete inputs, or coils. The SPX Pro V2 allows the serial port to be used for a proprietary serial protocol instead of Modbus RTU. When used for interpreting a proprietary protocol, a Script Basic program would be written to send and receive via the serial port as applicable, and interact with the local Modbus registers (and MIB variables) under user program control. The SPX Pro V2 is itself an SNMP device. Local Modbus registers can be assigned to any of five branches of the local MIB for remote access by other SNMP clients. The local data may be accessed as scaled integer, 64-bit counters, 32-bit or 64-bit floating point (RFC 6340), or character strings (Octet strings) with automatic reformatting. An SNMP Get to the SPX Pro V2 will read local registers and an SNMP Set will write the local registers. 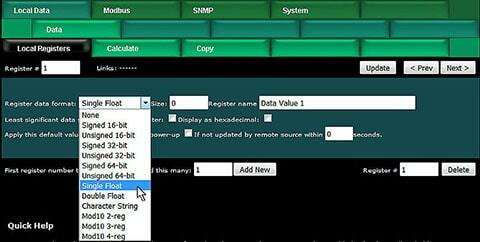 If local registers are mapped via Modbus to write to other Modbus devices, then SNMP Set will result in writing to a Modbus device. The SPX Pro V2 can send v1 or v2c traps based on threshold rules created via templates in the SPX Pro V2’s web UI. When data in the local registers meets the rule criteria, the trap will be sent. Traps can be triggered by reading other Modbus devices or by any other source of local data including Script Basic. 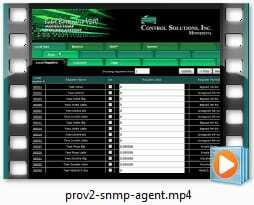 The SPX Pro V2 includes an SNMP client that can read and write MIB variables in other SNMP devices. When reading, the remote device’s data will be stored in a local register. When writing, data will be taken from a local register and sent to the remote SNMP device via SNMP Set. The SPX Pro V2 can be Modbus RTU master or slave (user selectable), and Modbus TCP client and server (concurrently). Maps created via templates in the SPX Pro V2’s web UI will read and write other Modbus devices, copying their data to local registers when read, or sending data from local registers to those devices when written. The SPX Pro V2 includes template based rules for simple calculations and data tests. These can be used for simple data manipulation. If more complex formula based data treatment is needed, Script Basic has access to all local registers. Reformatting from one register type to another is automatic. Therefore, a simple copy rule will transform a number into an ASCII string for use in sending traps. 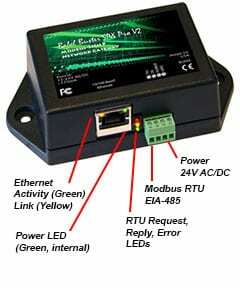 Interface to a Modbus RTU alphanumeric display device has never been easier. The SPX Pro V2 recognizes a series of Modbus holding registers as a single character string. The built-in Script Basic includes richly featured character string manipulation and recognizes the series of registers as a single character string. Script Basic provides unprecedented power and flexibility for creating the ultimate SNMP trap receiver. A special set of commands have been added to Basic to provide access to received traps. Basic can also trigger sending of traps by writing to local registers that are mapped via templates. Click the link below to view a demo copy of the entire Web UI in the BBSPX Pro V2.